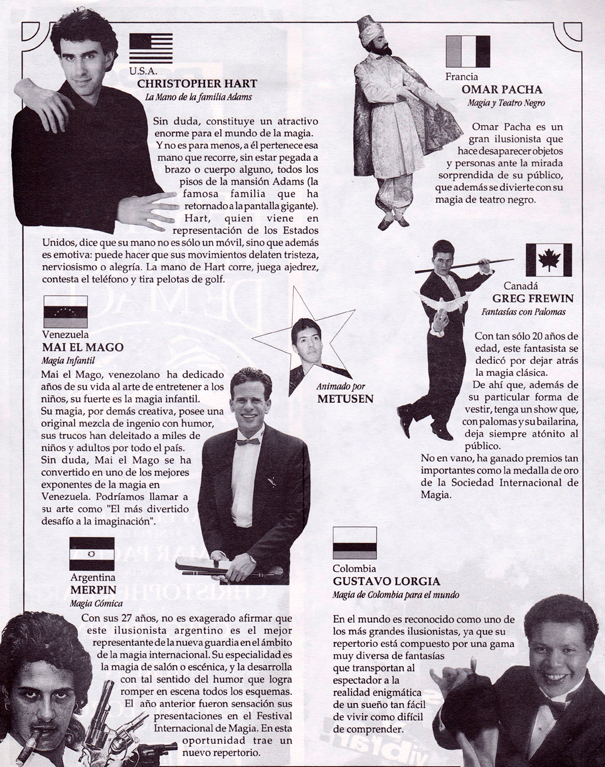 Same show as in Colombia (February to April 1994), performed in a circus tent on the roof of a department store. Audiences (and artists !) bear the heat under the tent (1400 seats always fully booked). The people are even more enthusiastic as in Colombia. Very friendly encounters with Venezuelan magicians. Without doubt, the best act of the magic festival is the Frenchman Omar Pasha; standing ovation.